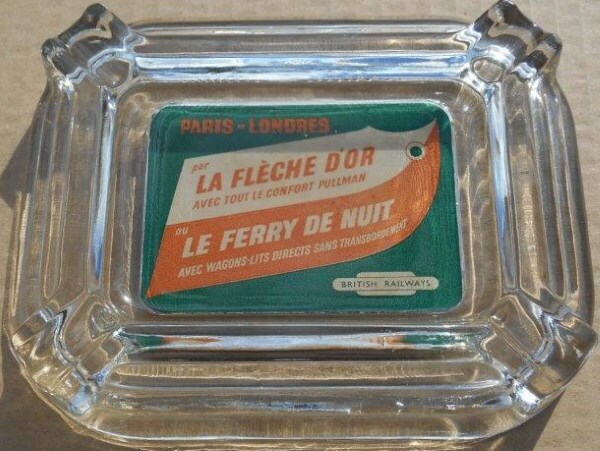 Lot 156C Glass ashtray entitled La Flech'e Dior and Paris-Londres. From and showing a green British Railways Totem. A rare survivor and would make a fine addition to any collector of Pullman memorabilia.